I love these so much I was actually twirling my fingers in front of my face and making "oooh" sounds (yes really) and I'm thinking of buying a backup of Afterparty because it's so lovely! 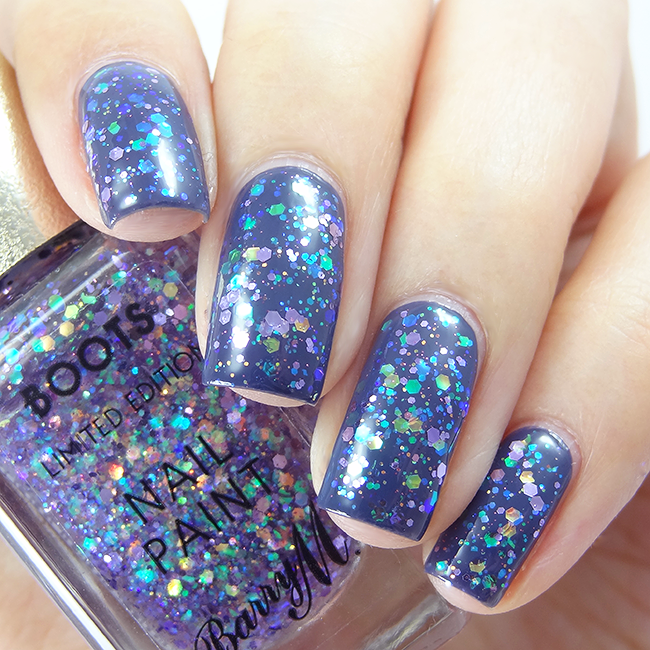 Afterparty is a predominantly purple and aqua clear glitter topper with some serious mermaid vibes. 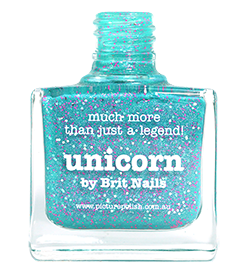 It has loads of large and small iridescent glitter which creates a mini disco on your nails. The colours are gorgeous together! In my swatches, I've paired one coat of Afterparty with Barry M Blue Jade. 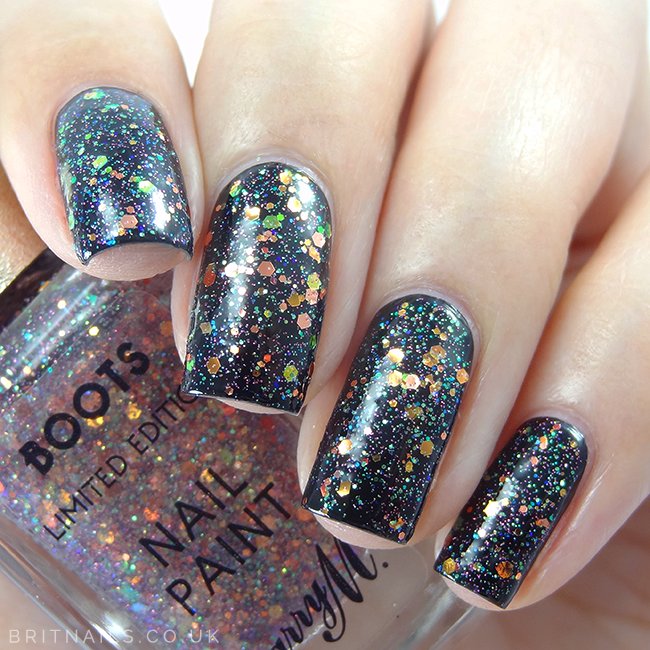 It's super easy to apply and one coat has more than enough glitter. I finished with 2 coats of top coat for a smooth finish. Fairy Lights is a predominantly orange/copper glitter topper. 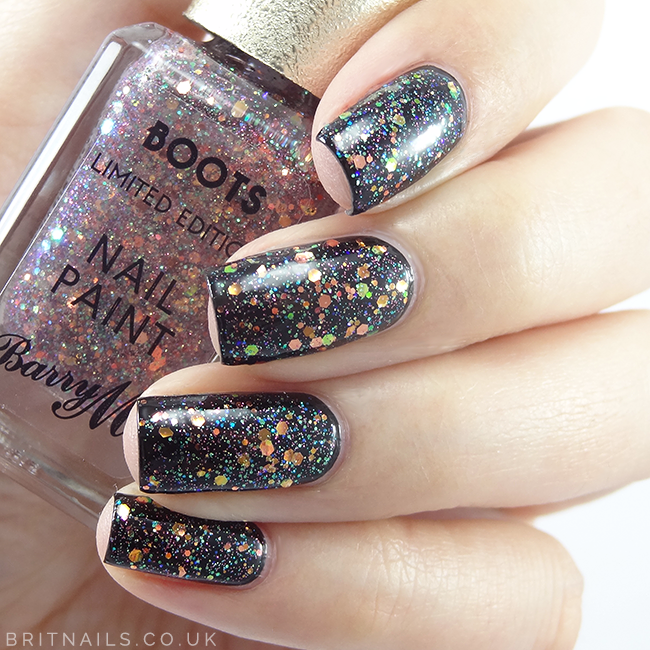 I tried this one over Barry M Black Forest, and the result is perfect Halloween party nails with zero effort at all. 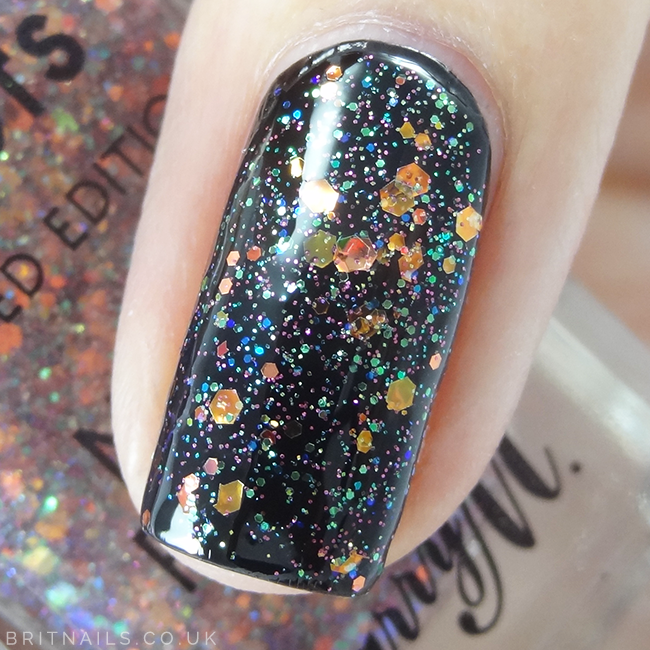 The orange iridescent glitter shines perfectly over the dark base. 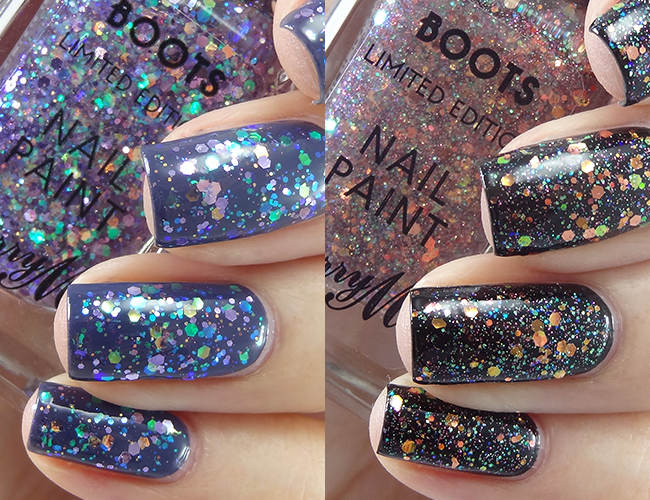 For my swatches I've used one coat of Fairy Lights over Black Forest, plus 2 coats of top coat. I had to include some bottle shots so you could see the mix of glitter. Let me know what you think of these glitters and remember they're LIMITED EDITION - so get them soon!